Last week for Top Ten Tuesday I explored the Top 10 Book Character Names I Came to Love. Because I enjoyed creating the list so much, I decided to do it again for TV characters! Because it’s similar to Peeta, but more legit? 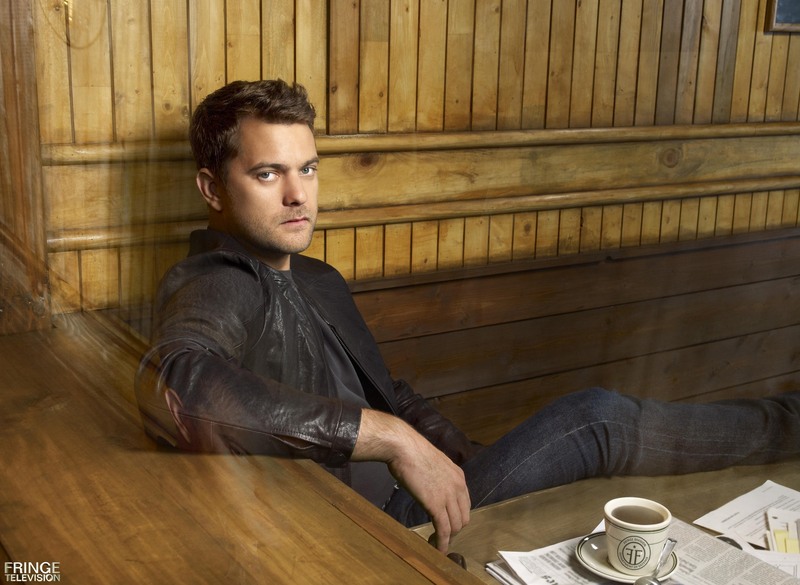 Or because of Joshua Jackson’s portrayal of his character Peter on Fringe? All of the above. Olivia is a nice classic and feminine name, but I used to think it sounded a little old. It has seemed to gain some popularity lately though, and Olivia from Fringe really made me appreciate it more. I was already kind of liking the name Lincoln, and even came up with the name for a character in a story. I also had a friend name her son Lincoln (and he’s totally adorable). 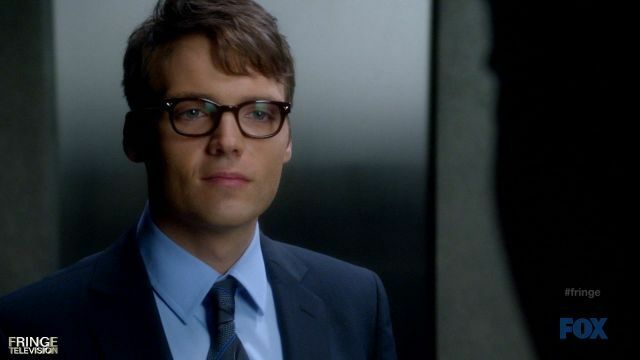 Then Lincoln Lee came along on Fringe and made me like it more! I like that it’s unique without being strange. Is Julian a girly name for a guy? I don’t know, I can’t decide! 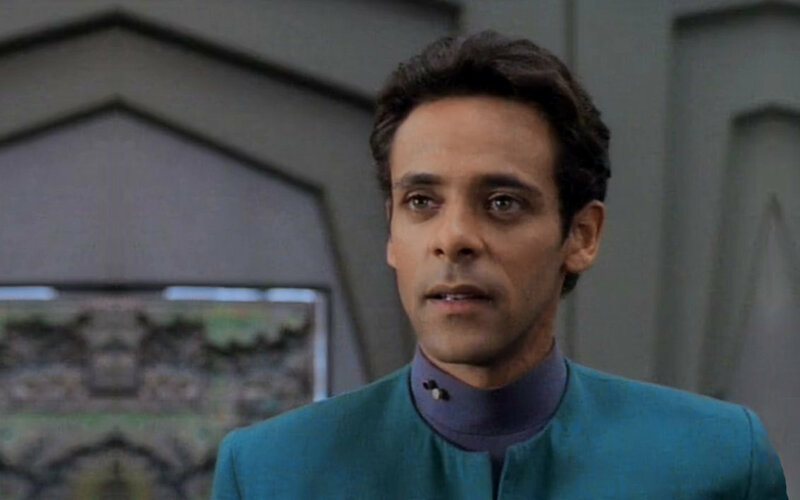 But I love Dr. Bashir and he kind of made me like the name Julian. 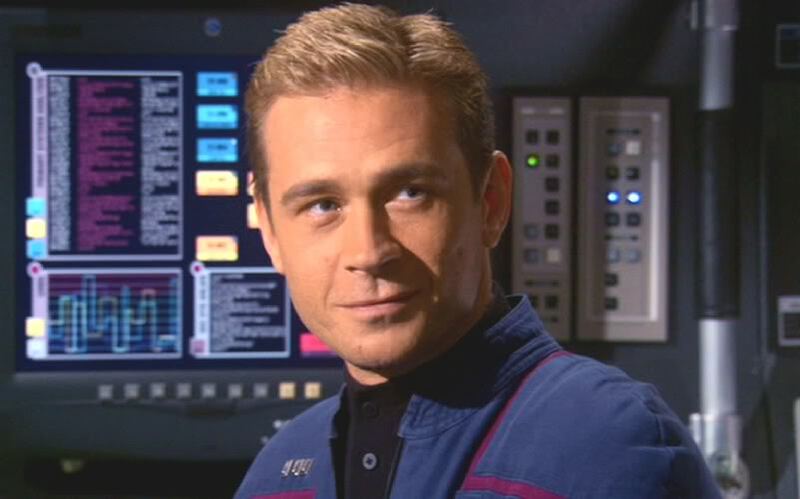 Trip Tucker is my favorite character from Enterprise – a Southern(ish) boy with a lot of personality. I think his last name works well as a first name. 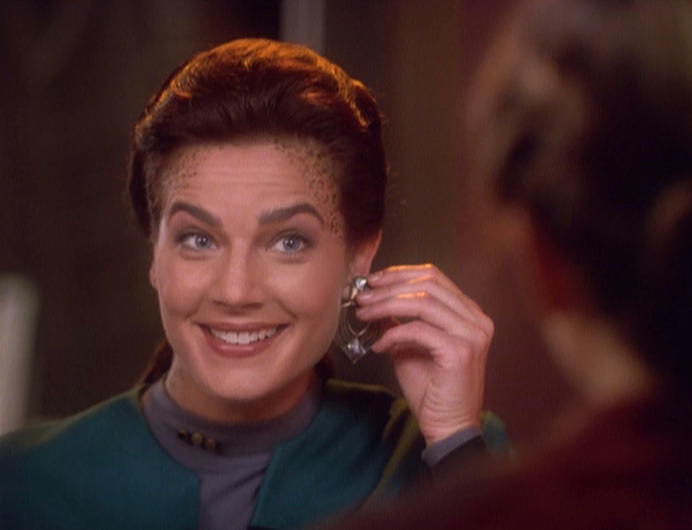 No, I would not name my child Jadzia. But I really want someone else to, and I will give them much kudos. It’s just a fun name for a fun character. For some reason, I don’t really care for nicknames. Maybe it’s because the name Amy isn’t conducive for nicknames, who knows. I’ve always liked the name Kathryn, which is Kate’s actual name, but Kate made me like Kate. Wait, this was on your list last week! Wait! You said you already loved the name Ryan! All true, but it’s my list, so I do what I want to. Besides, Ryan’s a fun character. 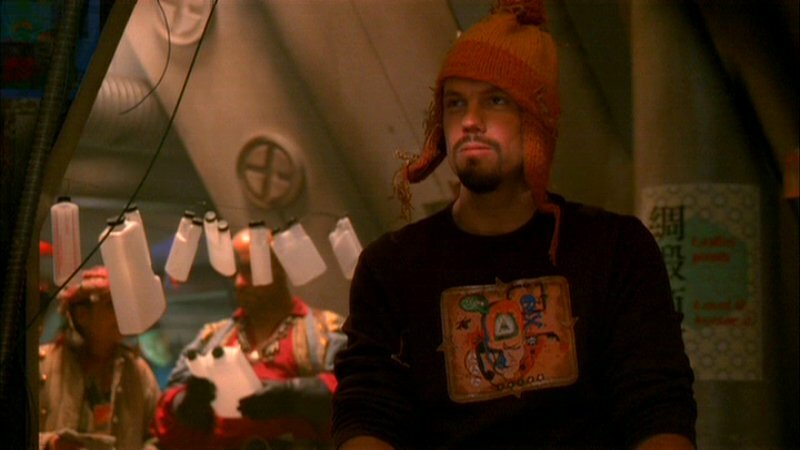 I already like the named Kaylee pretty well before watching Firefly, but Kaylee from Firefly just made me love it more. Between Jane Austen stories and Firefly, I came to appreciate the “plain” name Jane more, particularly with the spelling Jayne. But Jayne in Firefly is a bitter guy, and I definitely would not do that to my son. What about you? What are your favorite TV character names? What I liked about this post, “Winter: The Beginning of the End,” is that Meyer talks a little bit about the process of writing and especially finishing out a series. She talks about all the different plot points and relationships and character arcs and all that which is going to have to find a way to wrap up in the end of The Lunar Chronicles. She says she wrote the first draft for Winter in 2011 when she first sold Cinder, because she did want to it to flow well with that story. Now, she has to rework it after having written two more books in-between, to see what still works and what doesn’t quite fit anymore. It made me realize that published authors don’t necessarily have an easy time with their rewriting or editing process (which I have lamented about). I appreciate how much thought she is putting into this, and it probably helps she already has a draft under her belt. Sometimes I find the end of a series disappointing and/or rushed-feeling, so I’m hoping Meyer finds that balance of tying up those loose ends and pacing herself until the last page. As I have mentioned before, I am fan of the show Castle, and of course we got a cliffhanger for the end of season five! I am surprisingly not feeling too anxious though, I think largely because I have faith in the writers. I think they have the potential to make the end decision interesting and not as black and white as it appears. (*SPOILER* on the Castle Facebook page fans are posed which will she choose, ring or job? I don’t think it’s that simple though. It can be a lot more complex.) But we’ll have to wait and see how it all turns out! I only watch about one or two TV shows at a time, and all I have now is Castle. Well this fall that’s going to change with the premiere of Josh Whedon’s new show, S.H.I.E.L.D., all about the intelligence agents behind The Avengers. And you know the guy I was missing so much in Iron Man 3? (Side note. My husband asked me, “Do you know why Joss Whedon brought Agent Coulson back?” I ask why and he replies, “So he can kill him again.” I hope not, but he makes a valid point!) At first I was kind of sad to see Coulson was the only familiar face, but was I seriously expecting someone from another show to be on the show, or Samuel L. Jackson to regularly appear? 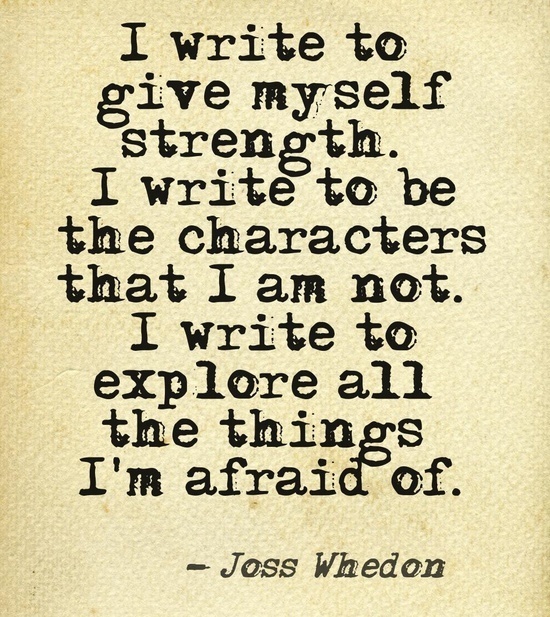 And I think Whedon is great at creating characters, so it’ll be great to meet new ones. And though I liked The Avengers, and Serenity, I think his true strength is in TV (OK, I base this off Firefly only as I have not seen his other shows, but Firefly was great!). Anything TV related you’re excited about? The American Idol finale is tomorrow… this is the first time since season six (when I first started watching) that I have not at least kept up with the contestants much at all (I did skipping watching one other season though, when Ellen was judging and Lee won), but apparently it’s a showdown of two girls! I have no idea how often this “Wednesday Round-Up” feature will happen or if it will ever happen again, but I felt possessed to share a few things and just decided to put it all in one round-up-style post. 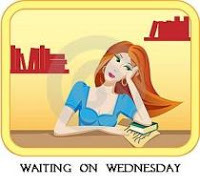 There is a weekly blog event hosted by Breaking the Spine called Waiting on Wednesday, where book bloggers share upcoming book releases that they are anticipating. Well, I have been looking forward to The Elite since I finished The Selection, but now that we’re in its release month, it’s starting to feel real! I’m super nervous about the book, as I have heard there are so many twists and turns that makes everything frustrating, but I know I won’t be able to put off reading it for too long. And then I’ll have to wait until NEXT YEAR for the last book! Ack! Note to self: don’t get into anymore series when only the first book is released. Also, Team Maxon, for anyone who cares. I plan to review The Selection on here before too long. Anyone else looking forward to The Elite? If you want to know why I love Star Trek: Deep Space Nine, read this. Even if you haven’t heard of it, read it, because then you will know of it, and then you should promptly watch all seven seasons of it. Amazing story arcs, character arcs, great stories of science fiction that mirror modern times and have great social commentary… there is just so much goodness in the show! 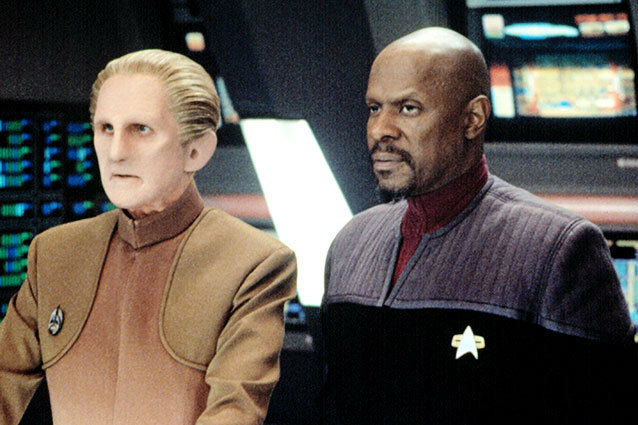 Yes, it’s 10+ years old, but good storytelling knows no age, and that is certainly true of DS9. Any other Trekkies out there? 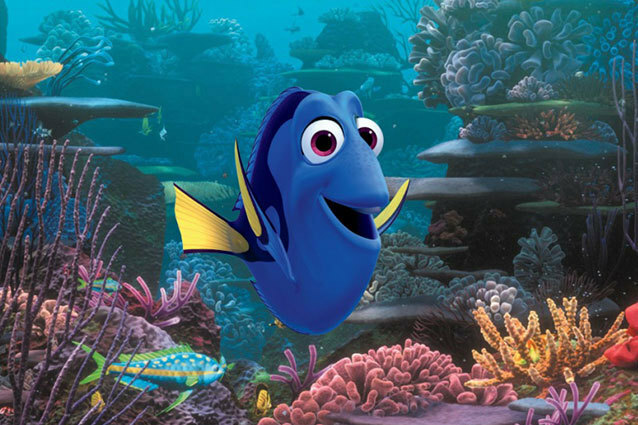 Finding Dory: Couldn’t Pixar Find New Stories? This article about Finding Dory, the sequel to Finding Nemo, is very timely. My husband and I have spent the past couple of weekends going through the Pixar movies we own, and we have been complaining about how Pixar just doesn’t produce as good of movies as they once did. We were also pointing out all the great details in the movie. In fact, we watched the mini-documentary on the making of Finding Nemo that was on the bonus disc, and everyone who was involved with the look of the film was required to become scuba diving certified and go scuba diving! And then they actually went to Australia to check out the Great Barrier Reef! How awesome is that? And such amazing attention to detail! So even though I think Disney has ruined Pixar a little and made them do these silly sequels, I will forgive if finding Dory is anywhere near as well-done as Finding Nemo. What do you think of a Nemo sequel? Monday was the 100th episode of my favorite currently-running show on TV (AKA, the only one I actually watch on a consistent basis), Castle. For those who are unfamiliar with it, it stars Nathan Fillion as writer Richard Castle, who shadows a homicide detective for writing inspiration. At least, that’s how it began. 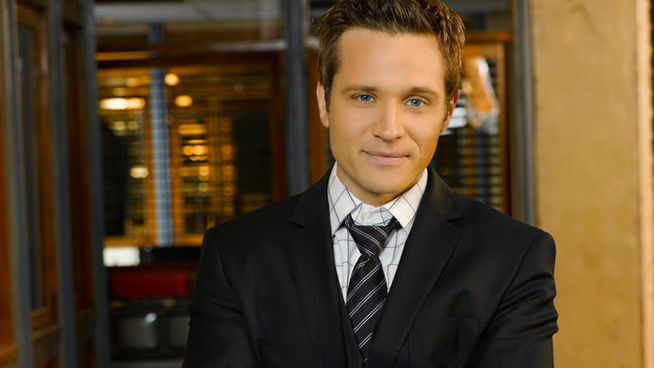 Now, he pretty much works at the precinct (unpaid) and is dating detective Kate Beckett. The 100th episode was a nod to the Alfred Hitchcock movie Rear Window. 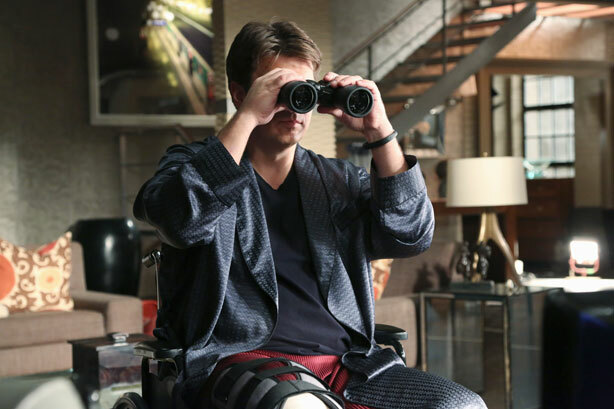 In the episode, Castle finds himself injured much like Jimmy Stewart’s character is in the movie, and he too spies on his neighbors, and his imagination runs wild with what he sees. It was a great episode, and one that I think would be fun to check out even if you haven’t watched the show before. Any other Castle fans out there? Lastly, I just wanted to share this quote. I think it is a perfect description of why I write.